This money clip was inspired by the sunny beaches of the west coast and designed to meet the needs of surfers in California and throughout the world. The WAVE™ Titanium Money Clip is constructed from 100% solid American titanium and is completely immune to corrosion by salt water making it perfectly at home on the sunny beaches of California or on a yatch in the Caribbean . The solid titanium construction makes it lightweight and virtually indestructible. Capacity is 30 folded bills or 15 bills and 4 cards. 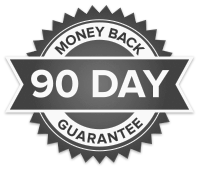 It will also spring back to hold just a single bill! 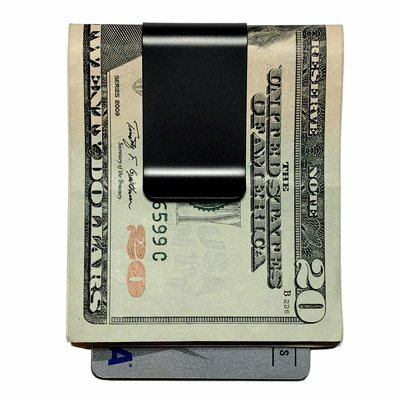 Each WAVE™ money clip is hand anodized while the voltage is being adjusted. The voltage is kept within a precise range to ensure that there is a cascading range of the blue colors that can be produced by anodizing titanium. Since each money clip is anodized individually by hand each one has a slightly unique variation of the pattern in the pictures. 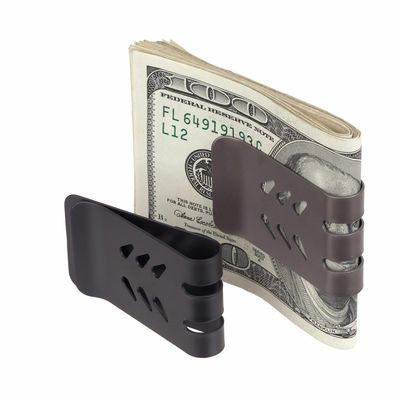 There are currently no reviews for The WAVE™ Titanium Money Clip, but you can be the first!